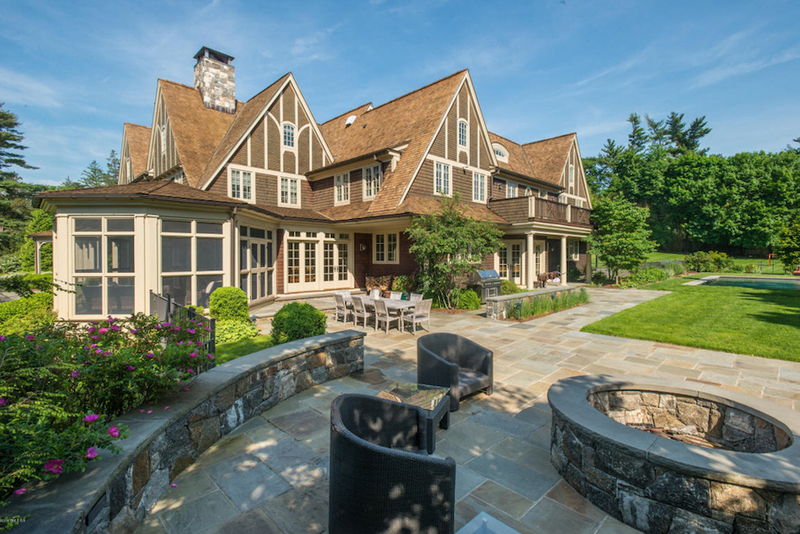 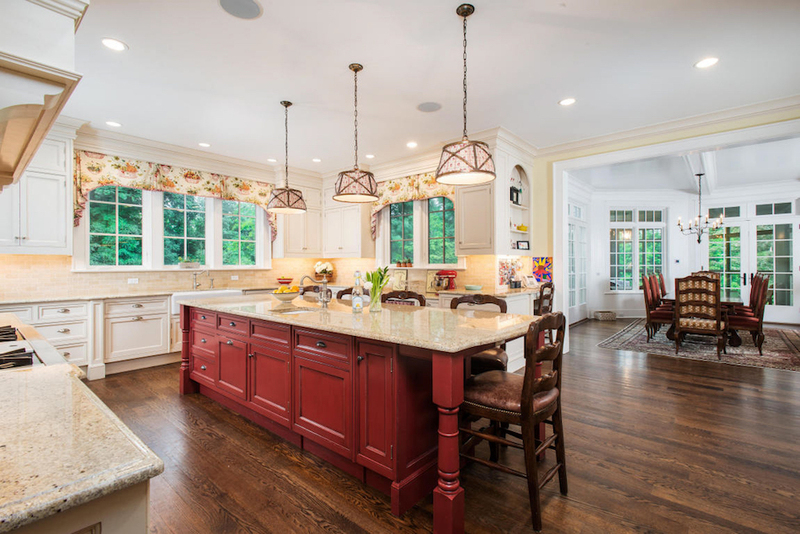 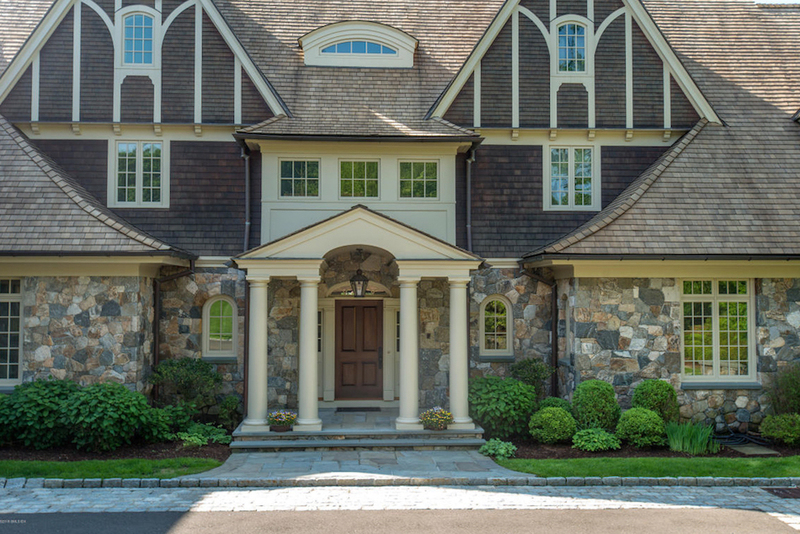 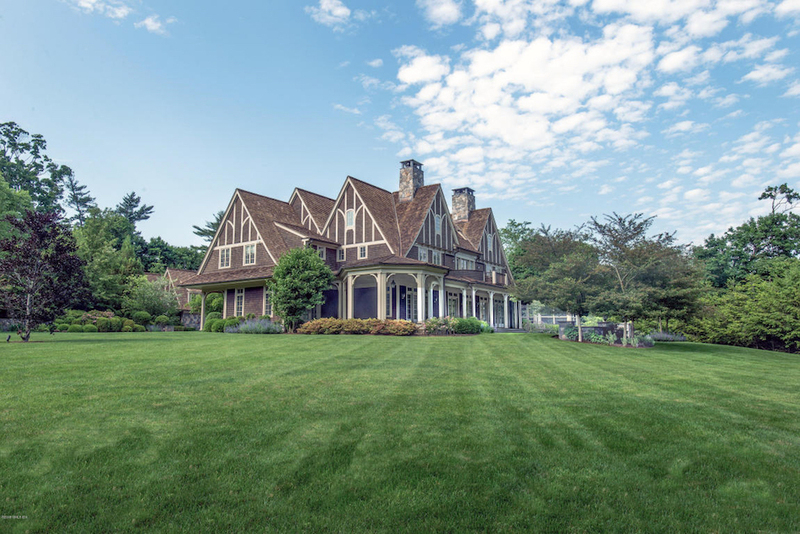 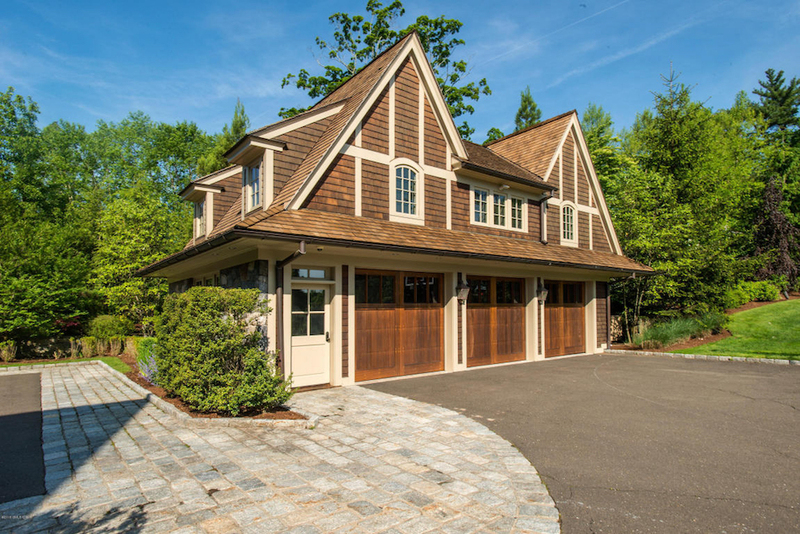 Designed by Austin Patterson Disston Architects and built to superior standards in 2007 for the current owners, this remarkable New England shingle-style house has a country feel in the heart of mid-country. 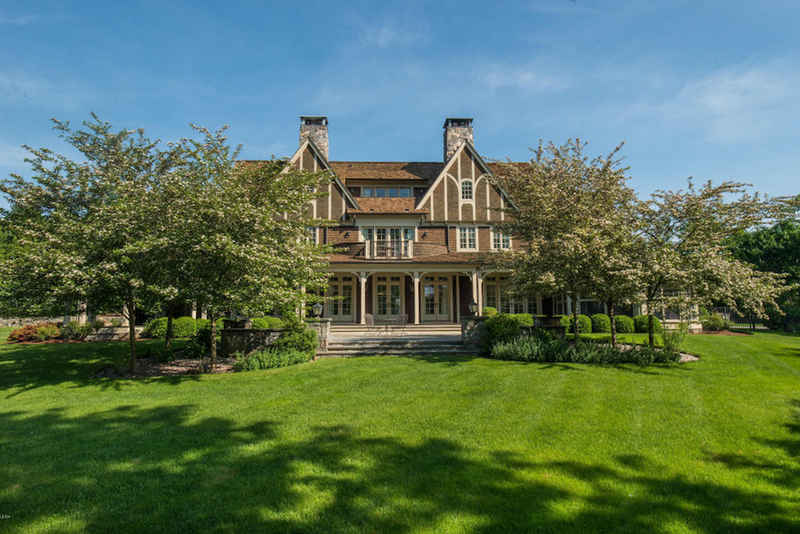 The 10,190 square foot residence first hit the market in mid-2018 for $11,700,000 and is currently available for $9,700,000. 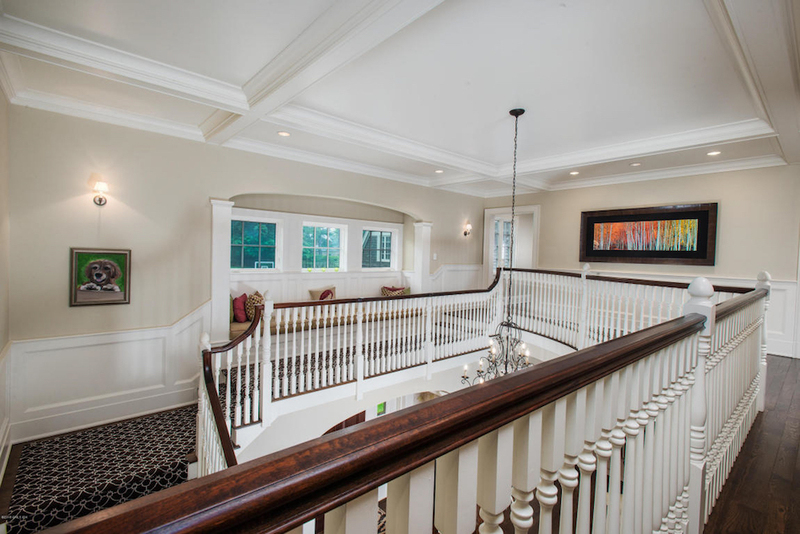 An elegant portico shelters the mahogany front door, leading into a gorgeous two-storey center hall with a beamed ceiling and a charming alcove seating area. 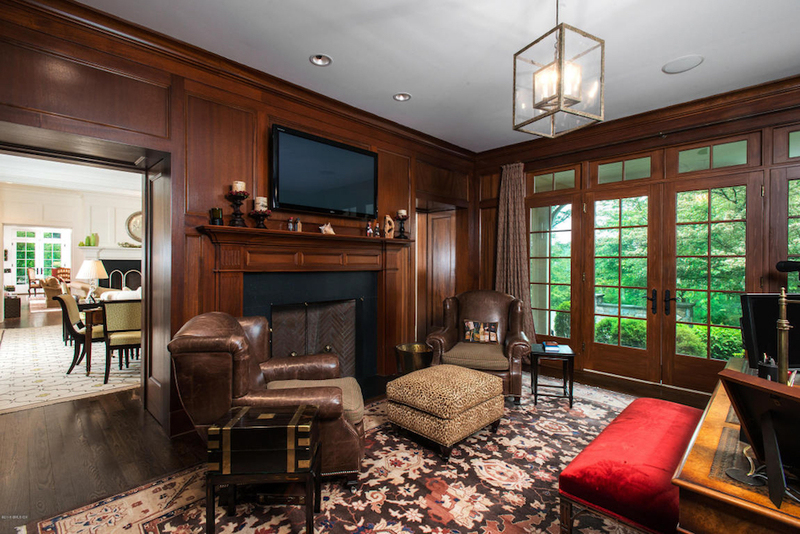 The main floor also includes a living room with fireplace, a beamed ceiling and three sets of French doors to the verandah, a richly panelled and book lined library with fireplace and a hidden doorway to the hallway and a gourmet kitchen with butler’s pantry. 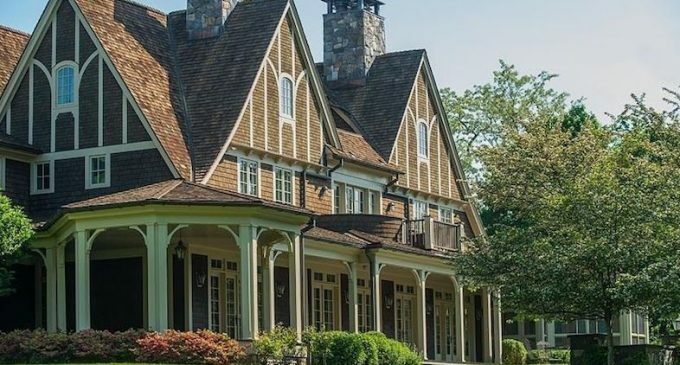 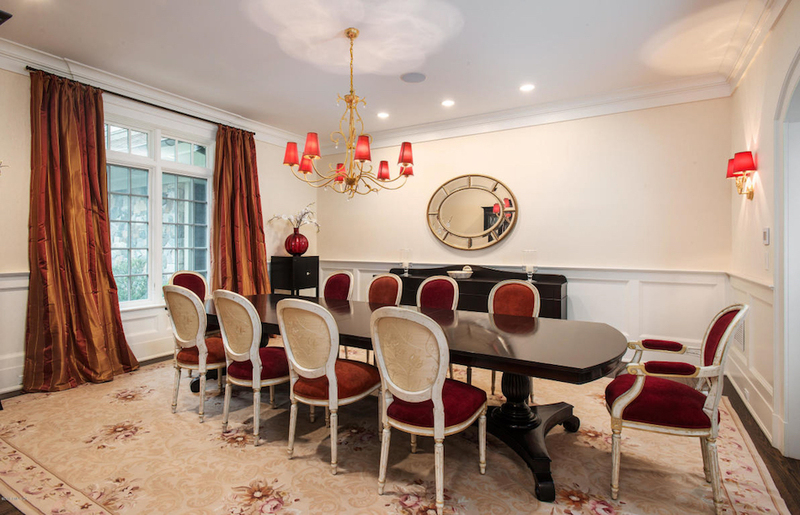 There are eight bedrooms, seven full and two half bathrooms throughout, including a large master suite with dressing room, luxurious bathroom and a private balcony with views to the Long Island Sound. 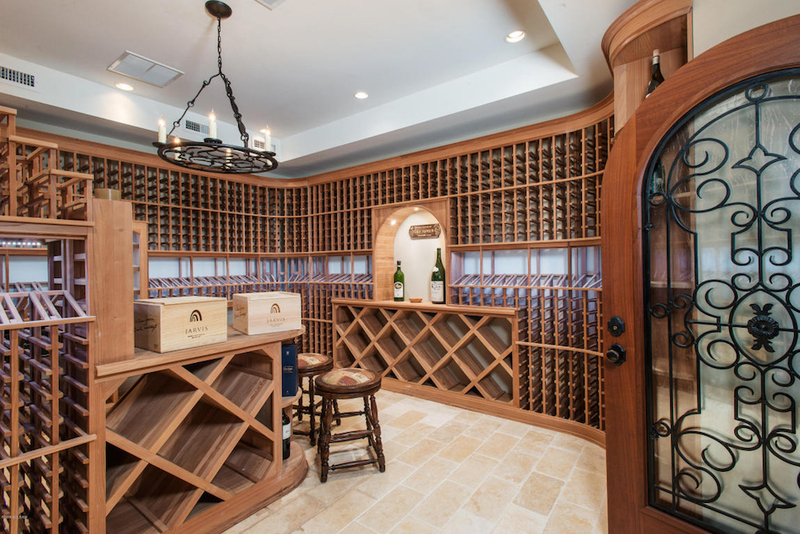 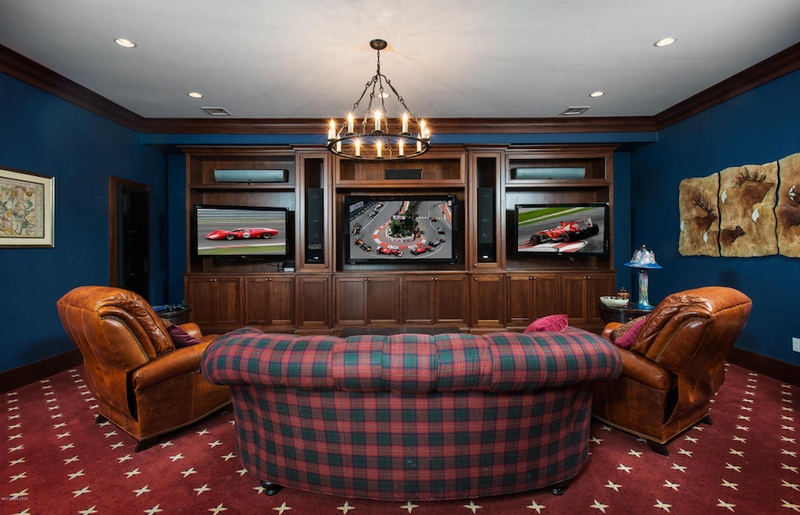 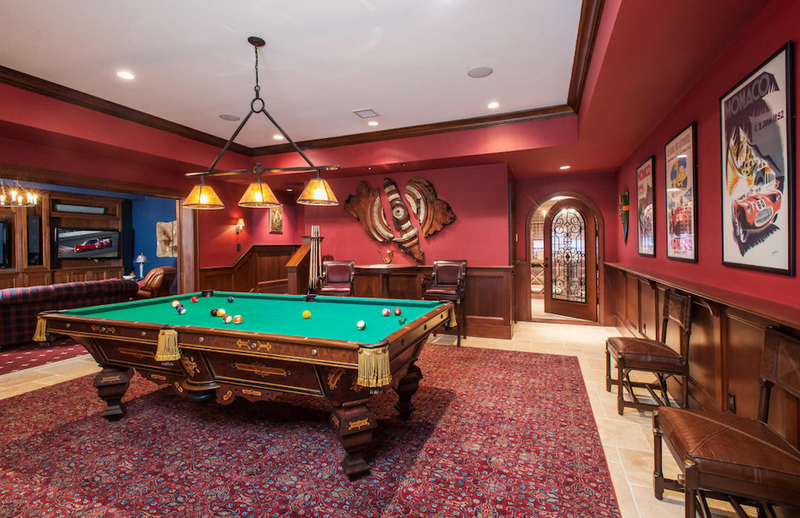 The lower level has two panelled family rooms, one with a stand up wet bar, a playroom or exercise room, a full bathroom, a laundry room, a huge wine cellar, a wrapping room, large storage rooms and two stairways to the main floor. 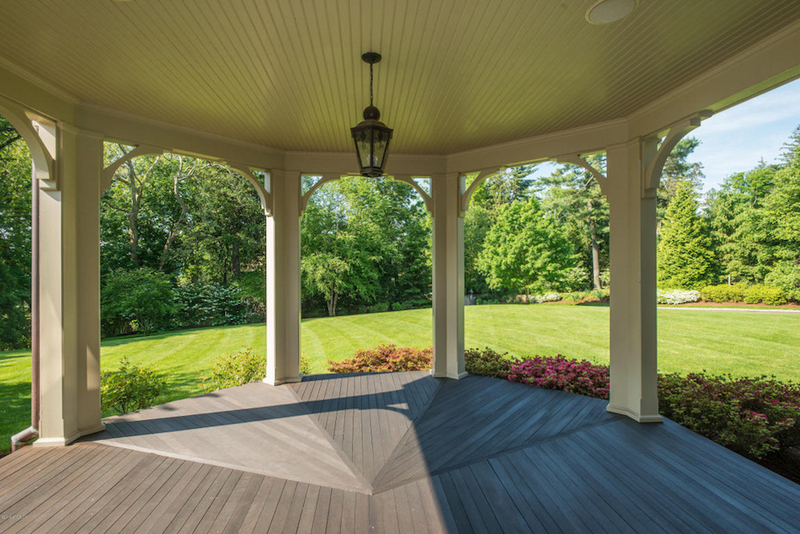 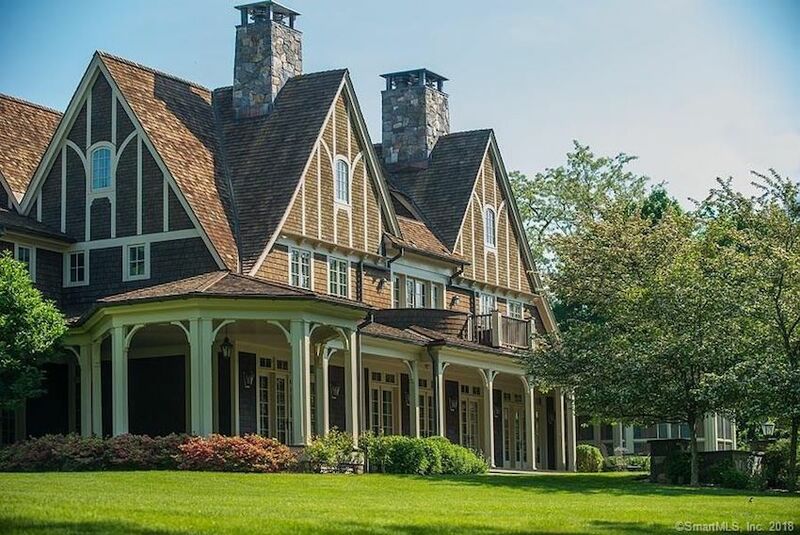 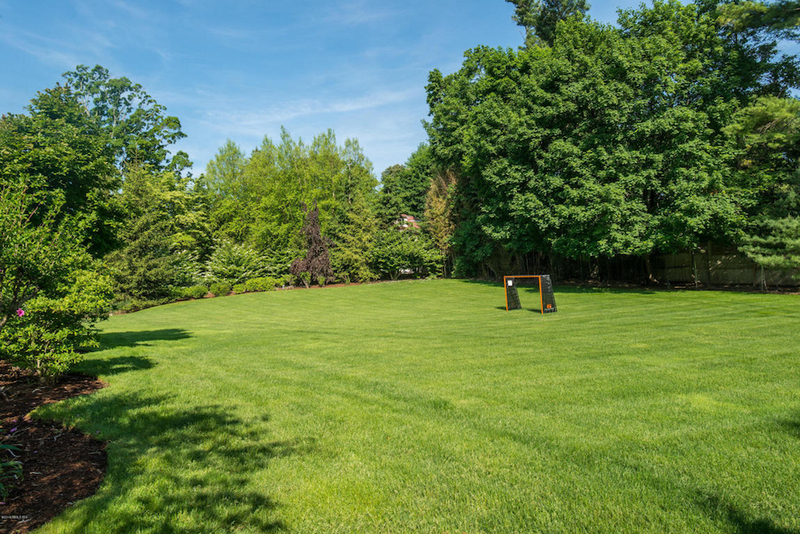 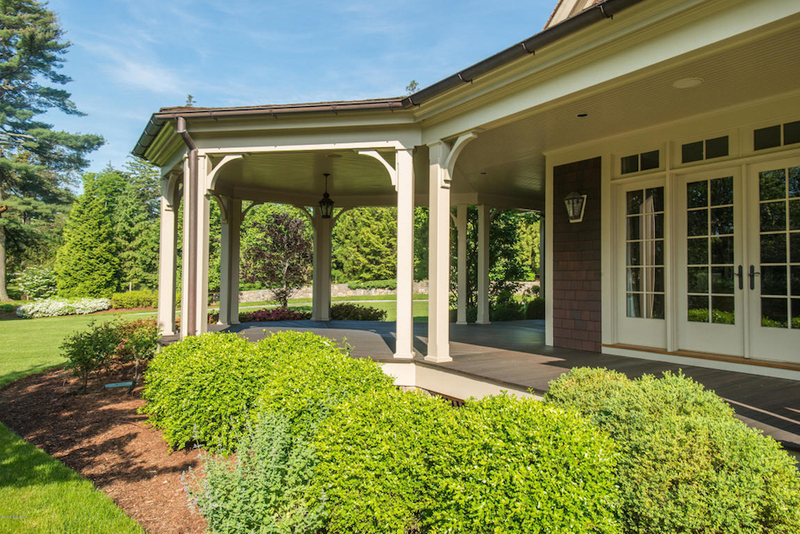 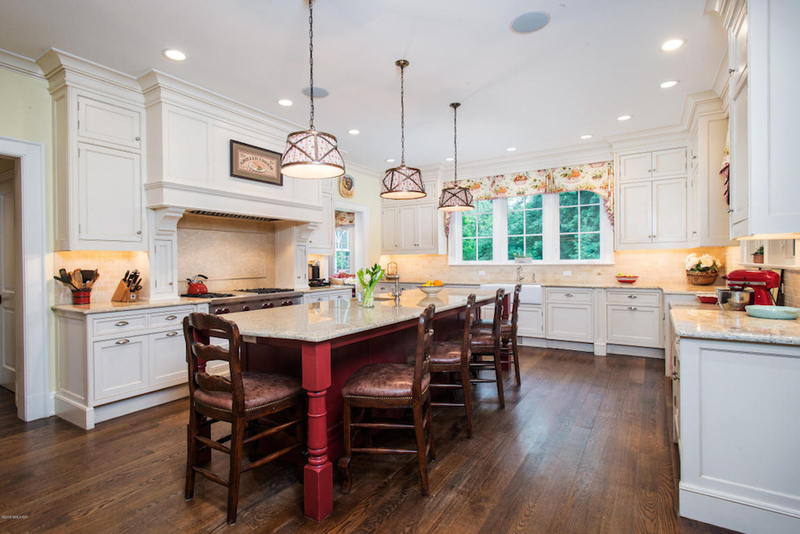 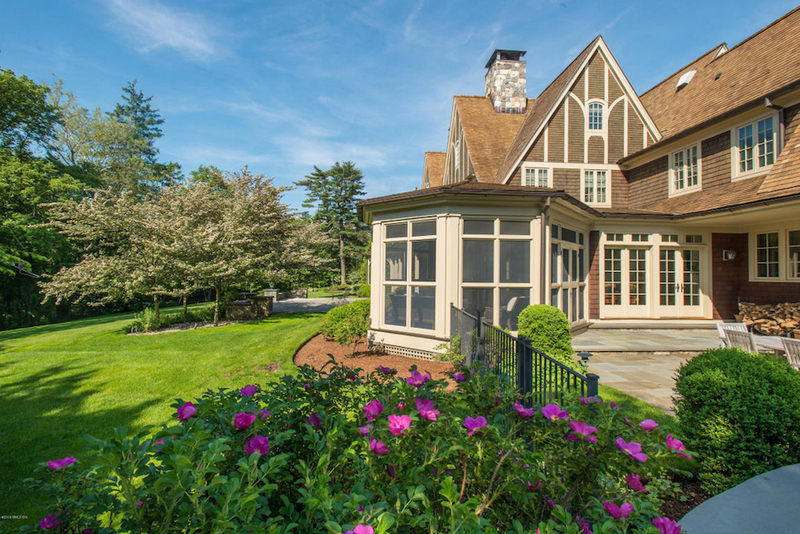 The residence is set on a 2.93 acre property across the street from the Greenwich Country Club and includes a lovely heated pool, spa and a pavilion pool house. 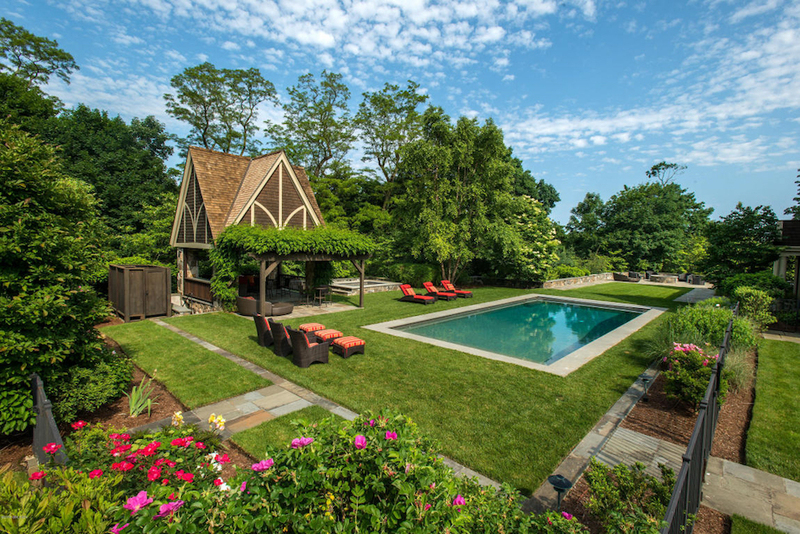 It’s on the market for $9,700,000 with David Ogilvy & Associates.